Neighborhoods made for bar hopping and beers brewed with brotherly love aren’t the only reasons Philly is a great drinking city. The folks behind the bar have a lot to do with it too. This year brought us new bar concepts and updated menus to our favorite spots, and a handful of local bartenders played a major role in further evolving and shaping the imbibing environment of our city. Here are five of our favorites of the year -- all with varying backgrounds, specialties, and ideas to bring to the Philly bar scene. As a team, Kyle and Jenna go hand in hand as the front and center of Federal Distilling Room. The duo is working to make the new Kensington spot the neighborhood’s favorite cocktail lounge. Kyle and Jenna became a bartending team in 2012, when they ended up working at the same Old City bar. Leading up to that, though, the two had different career paths: Kyle initially started bartending at Buca Di Beppo (after a little resume embellishment about his previous experience), and Jenna worked for a corporation that had her traveling around the US to train other bartenders. 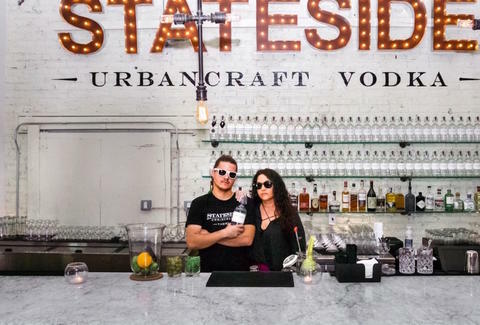 After co-managing the Old City bar, the pair left with the hopes to create something with Stateside Urbancraft Vodka and to market to different brands. They have now been with Federal Distilling for two years, which both Kyle and Jenna credit as their big break in the industry. “We would not change a thing,” Jenna said. Creating FDR’s bar program has been a rewarding experience, especially when the success of the original cocktails began to grow. For Kyle, among his favorite cocktails to make is The Daywalker: a jalapeño-infused Stateside with his own blueberry ginger syrup, with hardly any added sugar, and topped with lemonade. Jenna’s creation, The Cat’s Pajamas, is a “booze-forward” take on a martini that is equal parts dry and sweet. 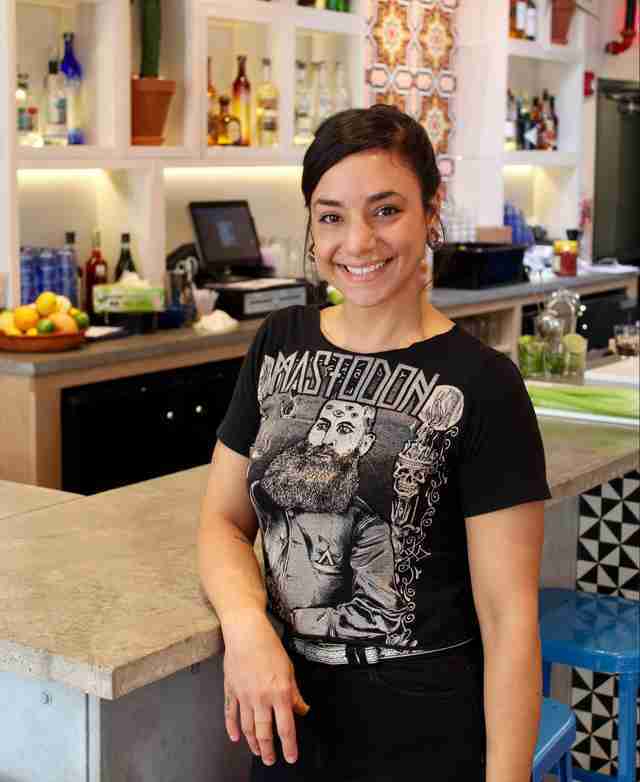 Christina has shaped an eclectic menu of creative (and affordable) drinks, including the Oaxacan Old Fashioned and the frozen watermelon cucumber margarita, at Philly’s newest and trendiest taco joint. She's also curated a mean agave spirit collection, replete with shelves full of tequilas and mezcals. Christina got her start in the bartending world by responding to a Craigslist ad for the Apothecary Bar & Lounge, the now-defunct bar where Tiki in Midtown Village now resides. “It was a molecularly driven cocktail program that instantly had me intrigued,” she said. After working in the music industry for five years, she returned to the restaurant world eight years ago and got her big break when she was recruited to work at the cocktail Harvard that is Franklin Mortgage & Investment Company (now The Franklin Bar) in 2010. “That bar, with all of the incredible talent it housed, was a huge game changer for me,” Christina said. “I learned and grew so much during my four-and-a-half years there." A Jersey native raised in South Philly, Christina says her favorite thing about working at Mission is creating a space where both creativity and hospitality can thrive. When she’s not at work, she’s either enjoying some tequila for herself or catching a local concert. 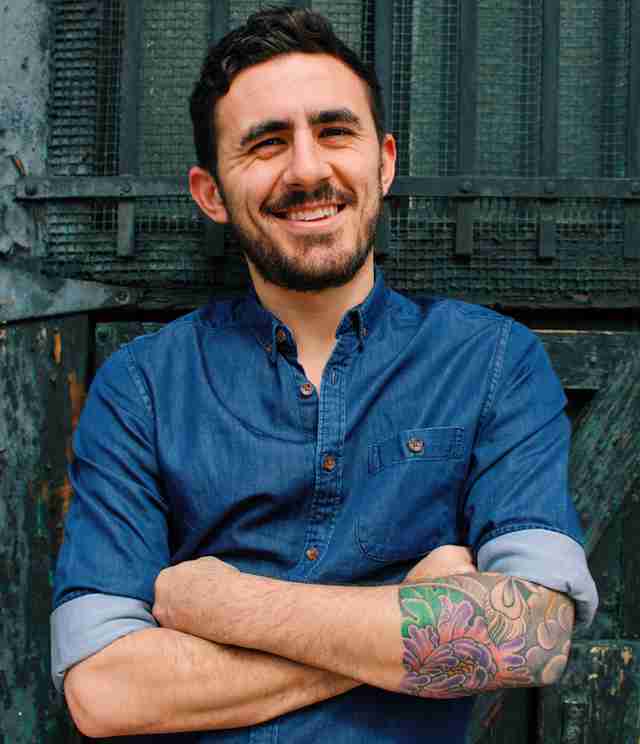 Red Owl has evolved greatly since opening four years ago, finally peaking outside of its touristy neighborhood, in part thanks to Kyle’s seasonal drinks and leadership in making his team learn the ins and outs of complex drinks. Kyle’s first gig in bartending was at Dmitri’s, a casual place where he got to know his regulars -- and how to make cocktails properly. Sometimes, it was through trial and error, like when one customer asked him how to make a Perfect Manhattan. “I simply made a normal one and cockily responded, ‘I always make them perfect,’” Kyle said. After the customer politely corrected him on the drink’s ingredients -- the difference is equal parts dry and sweet vermouth -- he was more ready than ever to learn. “I was embarrassed by my ignorance, and that made me want to learn everything I could,” he said. Dmitri’s became an important stepping stone for Kyle to embrace the community and creativity of the industry, as well as the freedom it provides, especially with travel. “At one point I quit all my jobs and lived in Rome for a few months, and Dmitri’s welcomed me back with open arms,” he said. 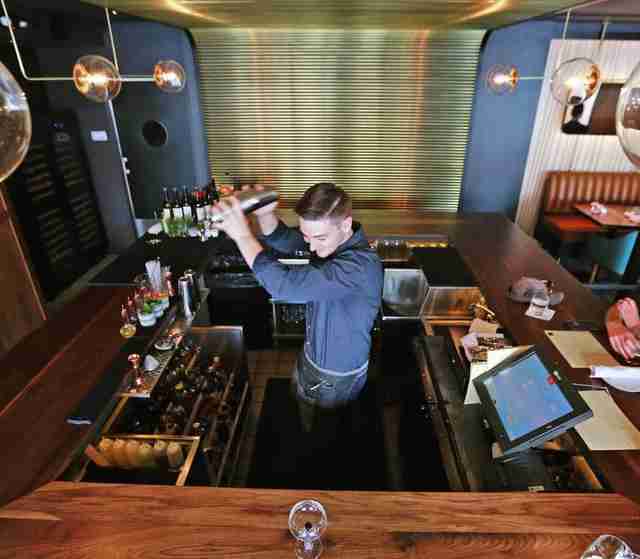 Even in his current role as lead bartender at Red Owl, and with a wife and one-year-old son in tow, travel is a top priority. Kyle’s favorite drink to make is a Sazerac, though like many, the drink of choice for the bar team is an Old Fashioned. “I’ve also been known to make entire wedding parties layered B-52s because, sure, why not?” he said.